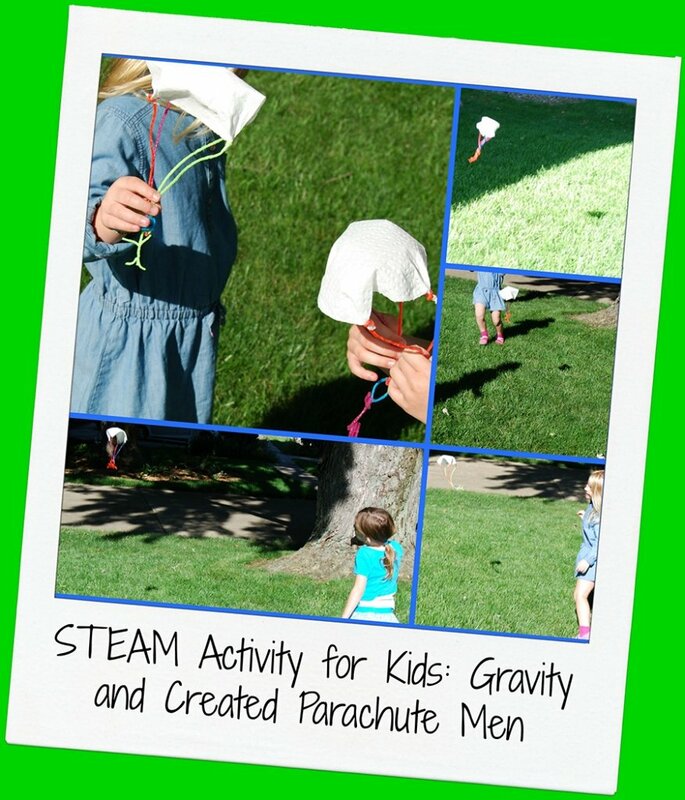 Parachute Men STEAM Design Challenge Objectives: To encourage children to use creativity and critical thinking skills to design, make predictions, and test the predictions to observe outcomes. 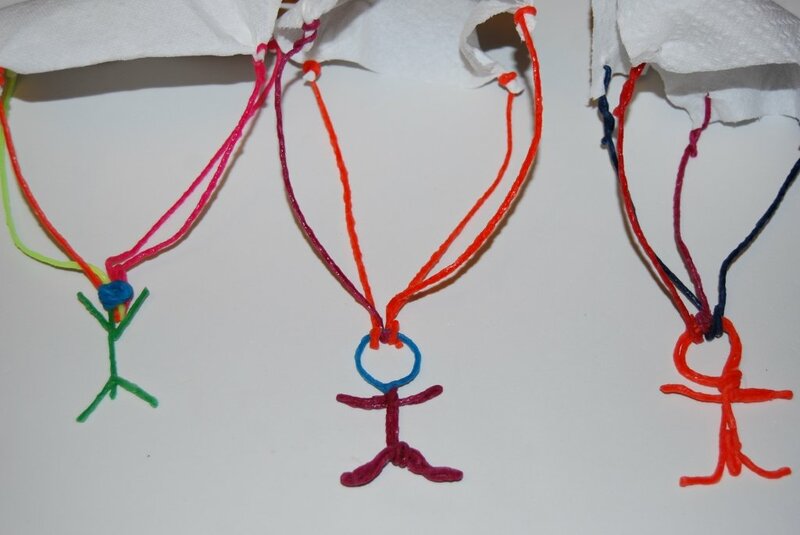 The kids tried various designs for their parachutes. 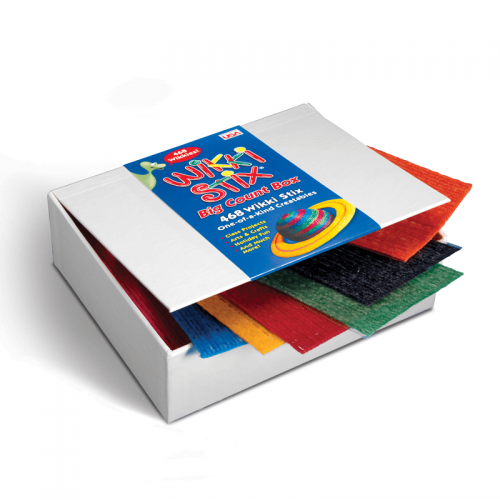 Some of the kids wrapped Wikki Stix around the corners of the paper towel to create the parachute. Other children chose to hole-punch the corners and thread Wikki Stix through the holes. 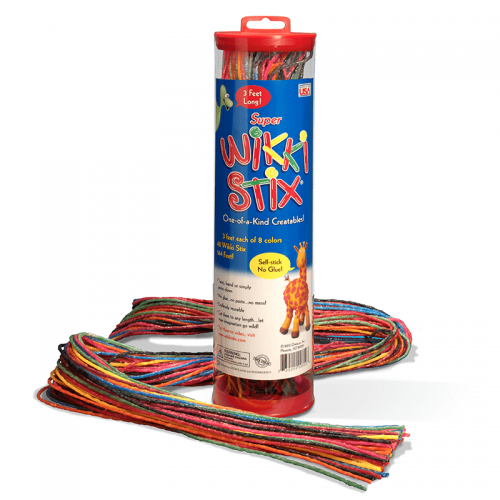 The created Wikki Stix parachute men were various colors, shapes, and sizes. 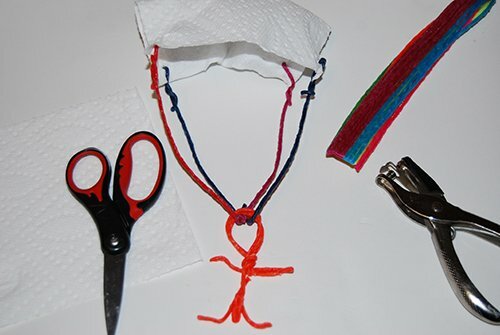 The design of the Wikki Stix men became important as the children made decisions about how to attach the parachute to the body of the created man! Explain to the children that GRAVITY is the force that keeps people grounded on the Earth instead of floating out into space. Gravity on Earth also dictates that when an object goes into the air, it will eventually come back down to the ground. 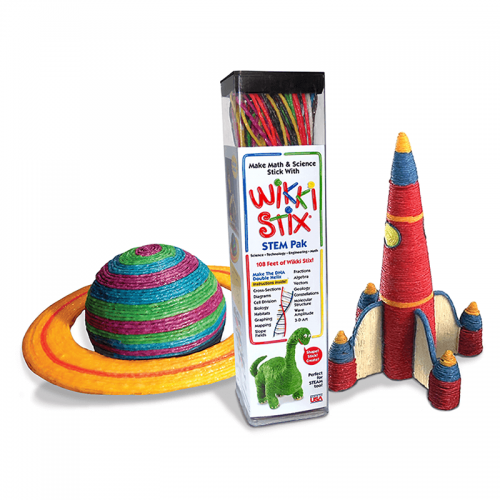 Ask the children to predict what will happen to the Wikki Stix parachute men after they are tossed in the air (the Earth’s gravity will cause the created parachute men to fall back to the ground)! 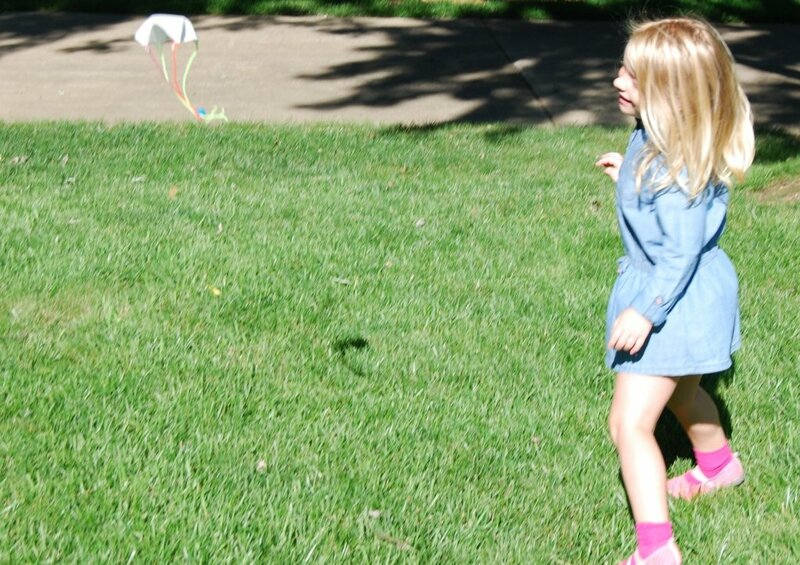 To test the predictions, have the children run and toss the created parachute men into the air and see what happens. Were the children correct in their predictions? Without the Earth’s gravity, the parachute men would fly off into space instead of falling back to the ground! To document the challenge explorations, invite the children to use digital cameras to capture the parachute men in flight! The children will have fun photographing each other, but they are gaining use of technology skills to provide evidence of learning. 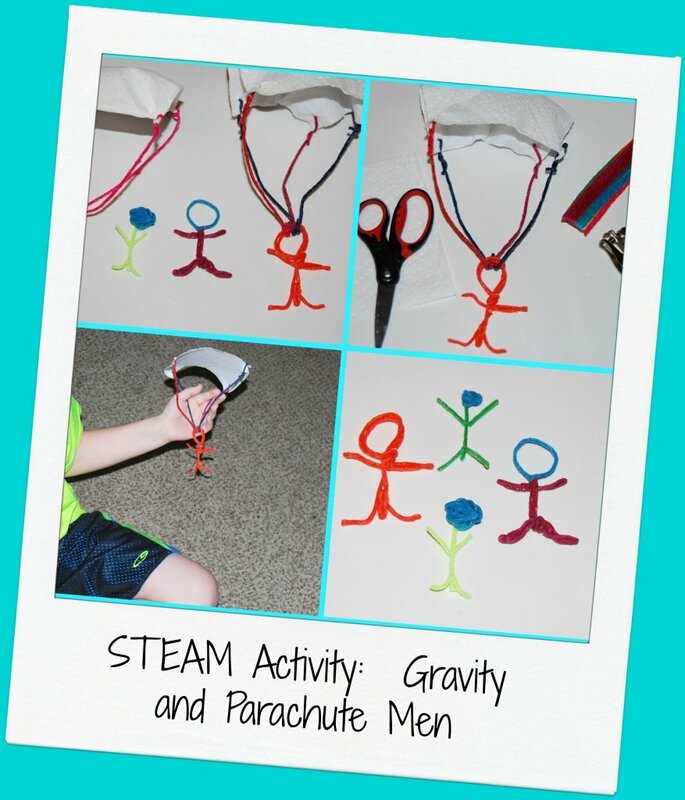 The Wikki Stix parachute men design challenge is a great way to get kids moving, creating, and playing while encouraging them to develop higher level skills for inquiry and problem solving!